If you have read my previous post on verb, you already know the basic and most common verb conjugation (verb conjugation 1) in Hungarian. E.g. the verb “ül” (to sit) does not have an -ik an, but the verb “játszik” (to play) does. So I would start saying “ülik” which is nonsense in this case. After my mom told me not to do that, I started saying word like “játsz” which is also nonsense in this case. What you need to know is that there are just a few verbs that take -ik in the 3rd person. You will be able to learn them as they come along the way. Click below to continue and you will read why these verbs are different and which are these verbs. 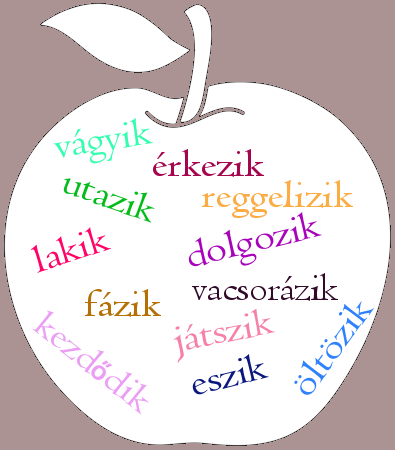 An infinitive of a Hungarian verb will have a -ni ending. So it is like: várni, tanulni. But if you look up a word in the dictionary you will find in it forms of the 3rd singular. To get the form of the 3rd singular, simply “delete” the -ni ending. In order to conjugate your verb in the present tense (get the other forms of the verb) you need to add personal endings to the form of 3rd singular.